Eddie Kirkland: Gypsy of the Blues! IN HONOR OF EDDIE KIRKLAND'S BIRTHDAY, AUGUST 16TH --- WE MISS YOU WITH ALL OUR HEART! Below Eddie recalls meeting a rattle snake in a cotton field when he was a young boy. Eddie Kirkland - Make love to your brain. © Hedda Records. All rights reserved. Do not redistribute. Eddie demonstrates his talents in three styles. A country shuffle in Nashville, a solid blues in Backtrackin with lyrics so sincere they tear at your core, and a Unification Church beat in Make Me Tremble. Feel Him Again as his vocals sound out the blues that were his heart. 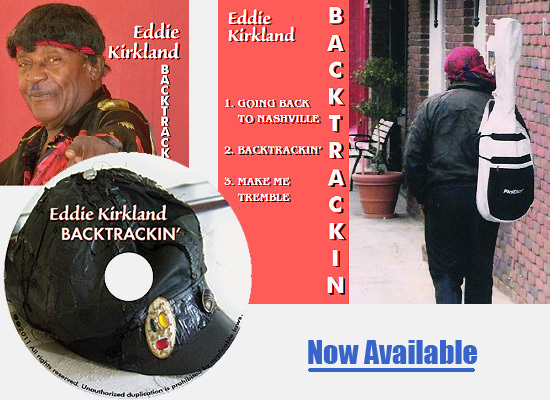 We will never see Eddie Kirkland live in concert again but we did not lose his soul. It lives on in his music. You can feel it in these three songs. It's here for all to experience. To those who had seen him, he was dynamic on stage and as a person. He was clean a musician he'd say, always arrived early at his gigs, pending any car troubles; troubles that would stop most of us in our tracks, like changing transmissions, brakes, or ty-rods. Not Kirkland, he'd just get right on out and start dealing with it right there along the side of the road. When on stage, he was ready to give his best to one or one thousand. He created countless arrangements and lyrics, record them, and perhaps never get to play them again, traveling too fast to give the regional band time to learn them. But request it and he could pull any out of memory and play it. 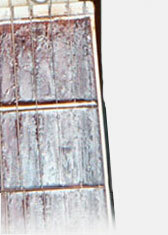 These tunes were recorded in Texas in 2002 with 80's band members Dirk Cordes, Homer Henderson and friends. The masters were lost in a fire and these were salvaged from a disk. © 2006 Hedda Records. All rights reserved.